The next City Council meeting will be on Tuesday, March 13th, 2019 at 6:15pm at City Hall. 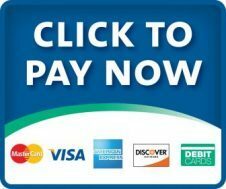 Automatic Payments: If you would like to know more information about the automatic payment plan we currently have at the City, please stop in during regular office hours to discuss. This is offered at no charge to you and all I would need is for you to fill out an authorization form and provide a voided check for the account you would like to use for your City Utility payments. If you would like to have a form mailed out to you, please let me know. Gas Utility Important Information: See enclosed flyer for important gas meter related info. If you need assistance clearing snow from your meters, please call City Hall during business hours and Bruce or Derek will come help. Fire Hydrant Safety: See back of gas flyer for important fire hydrant information. 2019 Dog License: Are now PAST DUE!!!! Please stop down to City Hall and pay the $10.00 per dog to satisfy your responsibility as part of the Round Lake community. Bring proof of rabies shot so we can have it on file for your dog. It’s in our ordinances that all dogs MUST be licensed and on a LEASH AT ALL TIMES!!!! Thank you. City Hall has received reports of dogs running loose, please tie them when you put them out! It’s our City policy. They were due January 1st! SNOW REMOVAL REMINDER! City ordinance states “no vehicles or other items are to be parked on the street during snowfall, until AFTER snow removal is done”. PLEASE honor this ordinance! Having vehicles parked on the street makes it dangerous for the plow drivers and risks damage to your vehicles. Do NOT push or blow snow onto your neighbor’s property, it’s disrespectful and they don’t appreciate it. City Ordinance states that you are not to blow snow into City streets either. Clear snow around mailboxes to make it easier to deliver the mail, we all need to work together to make the winter months better for all of us! Thank you in advance! MARK YOUR CALENDARS!!!!!! MARK YOUR CALENDARS!!!!!! MARK YOUR CALENDARS!!!!! RL American Legion – Sunday, March 3rd from 8am-Noon, the RL American Legion will be serving their delicious pancake breakfast!! Each month they prepare the area’s best pancakes and fill your plate with scrambled eggs and sausage. All you care to eat for only $6, top it all off with coffee and orange juice. There will be a pork chop dinner on March 16th, serving from 5:00- 7:30pm or until gone. City Clerk – Elaine will be attending an educational Clerks Conference during the week of March 19th – 22nd. I apologize in advance for the inconvenience, but as usual, your payments will be recorded on the day they arrive at City Hall. Derek will be making sure all payments are recorded in my absence. Please remember to return the bottom stub with your payment and feel free to use the convenient mail slot on the front door of City Hall to deliver your payment. City Hall will be open during that week, if you need anything, normal business hours apply. RL Community Center: See the back of this newsletter for the Round Lake Community Center newsletter. Firearm Conceal & Carry Classes – See flyer on the back of this newsletter for more info. American Red Cross Bloodmobile – The Red Cross bloodmobile will be at the Legion Hall in Brewster on Monday, March 18th, from 1:00 – 6:00pm. Mark your calendars!!! Support our neighbors to the north. April 21st is Easter Sunday! Happy Easter everyone! Check with your local church for schedule of services.